Ubuntu has come a long way to become one of the most popular and user friendly Linux distributions over the years. It's constant innovations and new features have not only helped in increasing the fan following but also have made Ubuntu the undisputed winner in the Desktop Linux category. 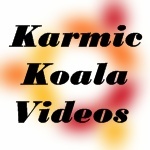 The new Ubuntu 9.10 codenamed Karmic Koala has lot of eye-candy in it. It's looks will make you go crazy. Just check out these videos to find out the hype created by this all new version of Ubuntu Linux.